Forever 21 has their Pre-Black Friday Sale on now! 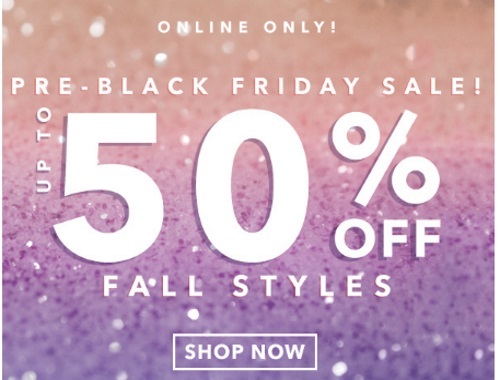 Save up to 50% off fall styles! For a limited time only, up to 50% off on select items. Offer valid online only. Prices as marked.